He went on to reference German hate speech laws, put in place by Angela Merkel in response to growing resentment at her open-door migration policy, with companies now facing fines up to 50 million euros. “Germany is an example of where the German government said ‘Enough,” he continued. “Unless you take down hate messages, unless you take down fake news, we will fine you’. “I want to work with the tech companies, but you have to be responsible,” he added. 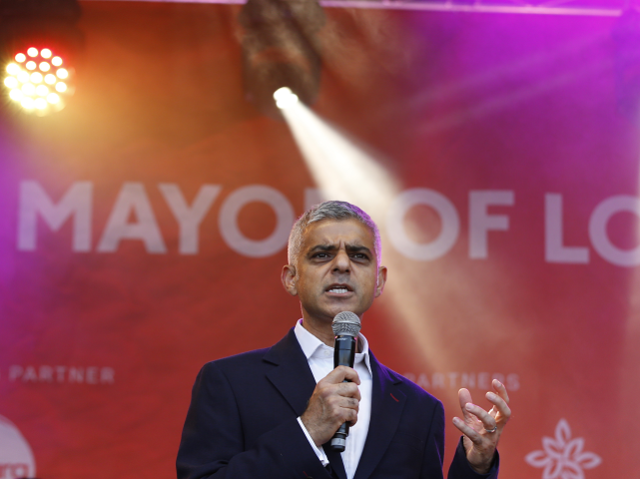 Khan also reiterated his opposition to President Donald Trump, claiming that Trump’s decision to retweet a member far-right activist group Britain First had led to increased levels of abuse directed at him. “If you are the most powerful man in the western world, and you are amplifying messages from far-right groups, Britain First, that has an impact on many people. That group incites hatred. Khan’s proposals fall in line with his wider approach of cracking down on “hate crimes” while levels of violent crime continue to soar. In recent years, local police have arrested dozens of people under hate crime legislation, usually on suspicion of speaking against radical Islam. His proposals are also likely to receive approval from the European Union, an organization that he avidly supports, who last week ordered social media companies to delete content it considers “illegal” within an hour of its posting.